IN completing two volumes of a work which has been for some years in contemplation, it may be remarked that it is the only collective Biography of the Jacobites that has yet been given to the Public. Meagre accounts, scattered anecdotes, and fragments of memoir, have hitherto rather tantalized than satisfied those who have been interested in the events of 1715 and 1745. The works of Home, of Mr. Chambers, and the collections of Bishop Forbes, all excellent, are necessarily too much mingled up with the current of public affairs to comprise any considerable portion of biographical detail. Certain lives of some of the sufferers in the cause of the Stuarts, printed soon after the contests in behalf of those Princes, are little more than narratives of their trials and executions ; they were intended merely as ephemeral productions to gratify a curious public, and merit no long existence. It would have been, indeed, for many years, scarcely prudent, and certainly not expedient, to proffer any information concerning the objects of royal indignation, except that which the newspapers afforded: nor was it perfectly safe, for a considerable time after the turbulent times in which the sufferers lived, to palliate their offences, or to express any deep concern for their fate. That there was much to be admired in those whose memories were thus, in some measure, consigned to oblivion, except in the hearts of their descendants; much which deserved to be explained in their motives; much which claimed to be upheld in their self sacrifices, the following pages will show. Whatever leaning the Author may have had to the unfortunate cause of the Stuarts, it has not, however, been her intention only to pourtray the bright ornaments of the party. She has endeavoured to show that it was composed, as well as most other political combinations, of materials differing in value some pure, some base, some noble, some mean and vacillating. As far as human weakness and prejudice can permit, the Author has aimed at a strict scrutiny of conduct and motives. In the colouring given to these, she has conscientiously sought to be impartial: for the facts stated, she has given the authorities. It now remains for the Author publicly to acknowledge the resources from which she has derived some materials which have never before been given to the Public, and for which she has to thank, in several instances, not only the kindness of friends, but the liberality of strangers. A very interesting collection of letters, many of them written in the Earl of Mar's own hand, and others dictated by him, is interwoven with the biography of that nobleman. These letters were written, in fact, for the information of the whole body of Jacobites, to whom they were transmitted through the agent of that party, Captain Henry Straiton, residing in Edinburgh. They form almost a diary of Lord Mar's proceedings at Perth. They are continued up to within a few hours of the evacuation of that city by the Jacobite army. For these curious and characteristic letters, pourtraying as they do, in lively colours, the difficulties of the General in his council and his camp, she is indebted to the friendship and mediation of the Honourable Lord Cockburn, and to the liberality of James Gibson Craig, Esq. To the Right Honourable the Earl of Newburgh, the descendant and representative of the Radcliffe family, her sincere and respectful acknowledgments are due for his Lordship's readily imparting to her several interesting particulars of the Earl of Derwentwater and his family. She owes a similar debt of gratitude to the Viscount Strathallan, for his Lordship's communication to her respecting the House of Drummond. To the Honourable Mrs. Bellamy, the descendant of Viscount Kenmure, she has also to offer similar acknowledgments, for information respecting her unfortunate ancestor; and for an original letter of his Lordship; and she must also beg to express her obligations to William Constable Maxwell, Esq., and to Mrs. Constable Maxwell, of Terregies, the descendants of the Earl of Nithisdale, for their courteous and prompt assistance. To James Craik, Esq., of Arbigland, Dumfriesshire, she is indebted for a correspondence which continues, as it were, an account of that family during the later part of the year 1745. To Sir Fitzroy Grafton Maclean, Bart., she owes the account of his clan and family, which has been printed for private circulation. 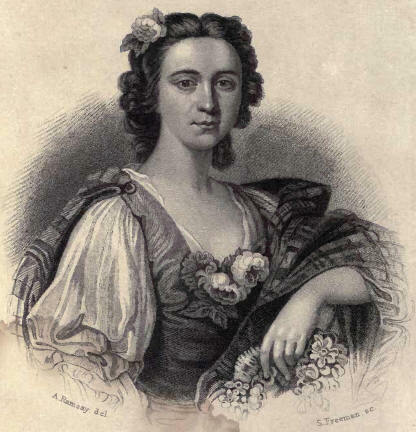 She is also grateful to a descendant of the family of Lochiel, Miss Mary Anne Cameron, for some interesting particulars of the burning of Achnacarry, the seat of her ancestors. In some of these instances the information derived has not been considerable, owing to the total wreck of fortune, the destruction of houses, and the loss of papers, which followed the ruthless steps of the conquering army of the Duke of Cumberland. Most of the hereditary memorials of those Highland families who engaged in both rebellions, perished; and their representatives are strangely destitute of letters, papers, and memorials of every kind. The practice of burying family archives and deeds which prevailed during the troubles, was adopted but with partial advantage, by those who anticipated the worst result of the contest. In recalling with pleasure the number of those to whom the Author owes sincere gratitude for kindness and aid in her undertaking, the name of Charles Kirkpatrick Sharpe, Esq. renews the remembrance of that store of antiquarian information from which others, far more worthy to enjoy it than herself, have owed obligations. The Author has also most gratefully to acknowledge the very kind and valuable assistance of Archibald Macdonald, Esq., of the Register Office, Edinburgh, to whom she is indebted for several original letters; and of Robert Chambers, Esq., to whose liberality she is indebted for several of her manuscript sources, as well as some valuable advice on the subject of her work. To Dr. Irvine, Librarian of the Advocate's Library, Edinburgh, the Author offers, with the most lively pleasure, her sincere acknowledgments for a ready and persevering assistance in aid of her undertaking. Again, she begs to repeat her sense of deep obligation to Mr. Keats, of the British Museum, the literary pilot of many years' historical research. IN completing this work, I have to repeat my acknowledgments to those friends and correspondents to whom I expressed my obligations in the Preface to the first volume; and I have the additional pleasure of recording similar obligations from other channels. I beg to testify my gratitude to Sir William Maxwell, Bart., of Montreith, for some information regarding the Nithsdale family; which, I hope, at some future time, to interweave with my biography of the Earl of Nithsdale; and also to Miss Charlotte Maxwell, the sister of Sir William Maxwell, whose enthusiasm for the subject of the Jacobites is proved by the interesting collection of Jacobite airs which she is forming, and which will be very acceptable to all who can appreciate poetry and song. To Sir John Maxwell, Bart., of Pollock, and to Lady Matilda Maxwell, I offer my best thanks for their prompt and valued suggestions on the same subject. 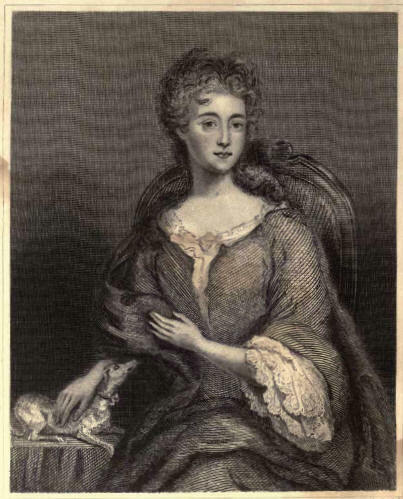 I owe much to the courtesy and great intelligence of Mrs. Howison Craufurd, of Craufurdland Castle, Ayrshire: I have derived considerable assistance from that lady in the life of the Earl of Kilmarnock, and have, through her aid, been enabled to give to the public several letters never before published. For original information regarding the Derwentwater family, and for a degree of zeal, combined with accurate knowledge, I must here express my cordial thanks to the Hon. Mrs. Douglass, to whose assistance much of the interest which will be found in the life of Charles Radcliffe is justly due. I have also to acknowledge the kindness of Mons. 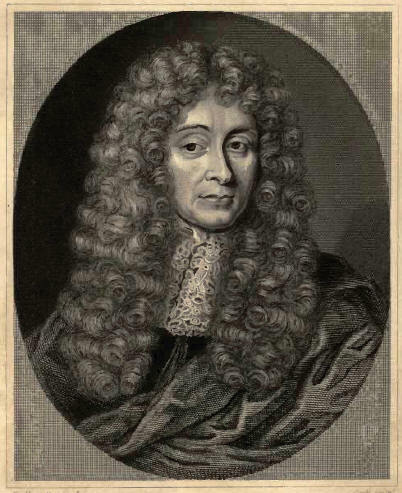 Amede'e Pichot, from whose interesting work I have derived great pleasure and profit; and to Madame Colmache, for her inquiries in the Biblotheque du Roi, for original papers relating to the subject. To W. E. Aytoun, Esq., of Edinburgh, I beg also to express my acknowledgments for his aid in supplying me with some curious information regarding the Duke of Perth. The kindness with which my researches, in every direction, have been met, has added to my task a degree of gratification, which now causes its close to be regarded with something almost like regret. One advantage to be gained by the late publication of this third volume, is the criticism of friends on the two former ones. Amid many errors, I have been admonished, by my kind adviser and critic, Charles Kirkpatrick Sharpe, Esq., of having erred in accepting the common authorities in regard to the celebrated and unfortunate Lady Grange. Whatever were the sorrows of that lady, her faults and the provocation she gave to her irritated husband, were, it appears, fully equal to her misfortunes. Since the story of Lady Grange is not strictly connected with my subject, I have only referred to it incidentally. At some future time, the singular narrative of her fate may afford me a subject of further investigation. I beg to correct a mistake into which I had fallen, in the first volume, respecting those letters relating to the Earl of Mar, for which I am indebted, to Alexander Macdonald, Esq. These, a distinct collection from that with which I was favoured by James Gibson Craig, Esq., were copied about twelve years ago, from the papers then in the possession of Lady Frances Erskine. They have since passed into the possession of the present Earl of Mar. An interesting letter in the Appendix of this work, will be found relative to the social state of the Chevalier St. George, at Rome. For permission to publish this I am indebted to the valued friendship of my brother-in-law, Samuel Coltman, Esq., in whose possession it is, having been bequeathed, with other MSS. to his mother, by the well-known Joseph Spence, author of the "Anecdotes," and of other works. A large and detailed account of this period including details of Bonnie Prince Charlie, Battle of Falkirk, Battle of Culloden, Bonnie Prince Charlie's escape, meeting with Flora MacDonald, his escape to France and his eventual death in Italy.